Our prelims for S5/6 are now complete and will give both pupils and parents a good indication of progress to date as well as an agenda for moving forward to the SQA exams in May. Well done to our pupils who have shown commitment and motivation as they approached these prelims. We had our S3 Parents’ Reporting Evening last week and I would like to thank those that managed to come along on a very wet day! Following our S4 prelims and reports there will be an opportunity for parents to meet teachers this Thursday at the S4 Parents’ evening. Sunday saw the start of Catholic Education Week 2018 in a year when we mark the centenary of the 1918 Education (Scotland) Act. The theme this year is “Catholic Schools: Serving The Common Good”. Catholic schools in Scotland, and Our Lady’s in particular, are striving to put into action these words of the Holy Father by being inclusive communities which welcome, value, affirm and support all pupils, parents and staff to fulfil the potential of their God-given talents. At the weekend staff and pupils visited the parishes of St. Luke’s, Our Lady of Good Aid Cathedral, St Bernadette’s and St. Patrick’s. The visit to St Brendan’s will take place next week to coincide with the sacramental enrolment Mass for the primary pupils. It is always a pleasure to visit parishes at this time and a privilege for staff and pupils to be given the opportunity to speak to the congregation. It is only through our schools’, our families and our parishes all working together that we can hope to provide young people with the very best opportunity to grow in love of God and with each other. 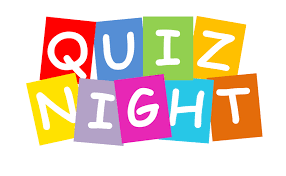 Our PTA have organised a Quiz Night for Friday 23rd February and I would encourage you to come along and support their efforts in raising money for the school. There will be a PTA meeting on Monday 5th February at 6.30pm in the school. The PTA are always looking for new members and so please come along the 5th February and find more about what they do. Thursday 8th February – the first of our Open evenings for P7 parents at 7pm. Monday 26th February – the second of our Open afternoons for P7 parents at 2pm. This entry was posted in Uncategorized on January 29, 2018 by Mr Cardle.